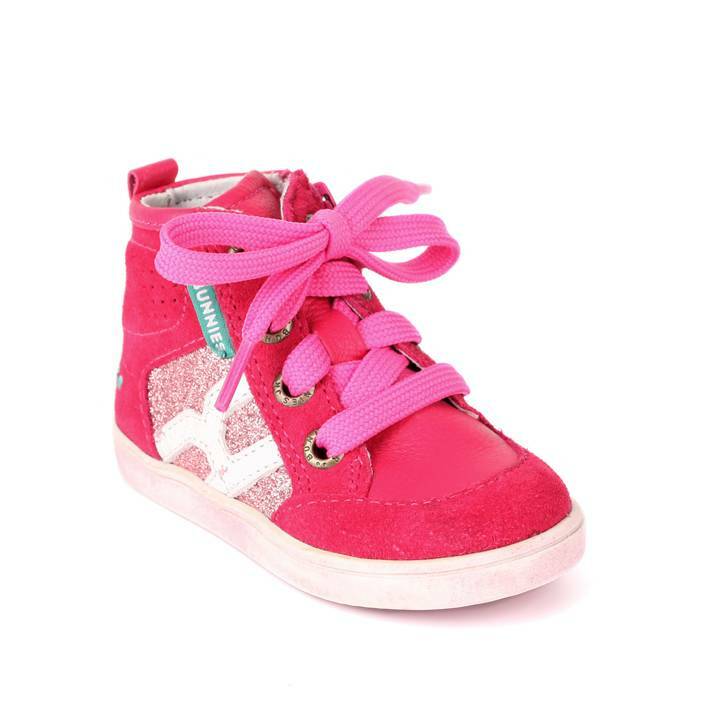 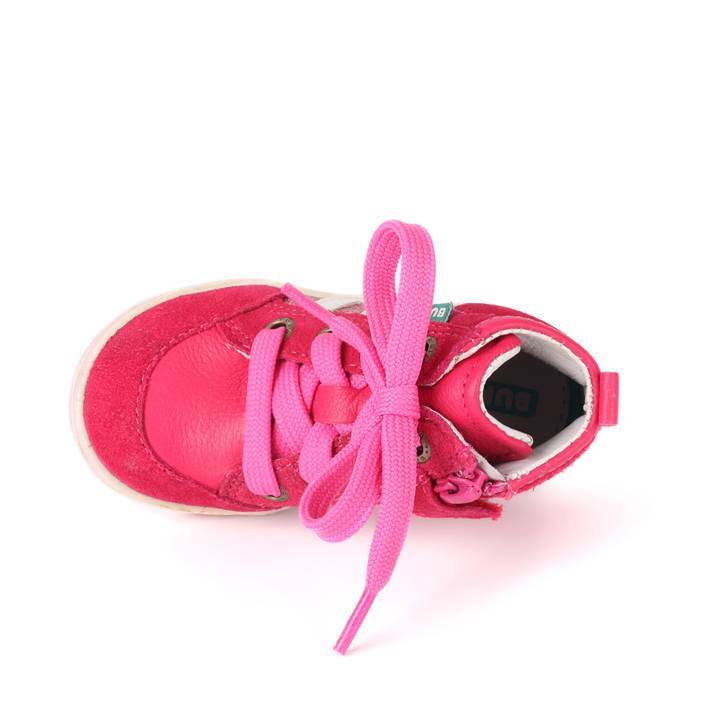 Pim Pit Fuchsia girls sneakers from Bunnies Jr. Cool red and pink colours with leather outer and rubber sole. 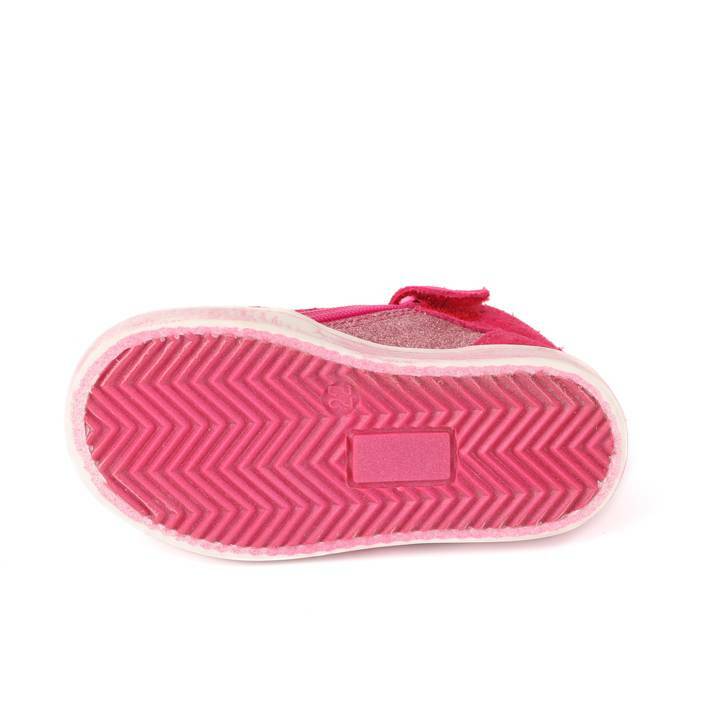 Highlighted with a white leather stitched on emblam.